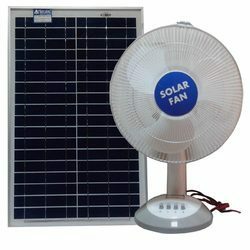 Leading Manufacturer of solar ceiling fan and solar table fan from Bhopal. Keeping the track of most recent happening of this domain, we are engaged in presenting the best grade of Solar Ceiling Fan. 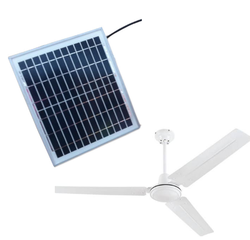 Fabricated by using modern machinery, these solar ceiling fans are known for their less power consumption, elegant design and longer functional life. In order to meet the precise needs of the patrons, we render the solar ceiling fans in varied specifications. Packaging Details: Seperate each Corrugated Box. Battery Not Included. Please Note That This Fan Will Not Work After 4 Or 5Pm As There Is No Backup Battery Or Storage In This Model.